NDP Leader Jagmeet Singh is interviewed while door knocking for his byelection campaign, in Burnaby, B.C., on Jan. 12, 2019. The sudden implosion of Burnaby South Liberal Party candidate Karen Wang, barely a month before the Feb. 25 by-election, is one of the few breaks Jagmeet Singh has caught in his year-and-a-half at the head of the New Democratic Party. He’s had a slew of misfortunes – mostly of his own making. Mr. Singh took the helm of his party the autumn before last in a blaze of viral YouTube videos and bespoke suits, inspiring dreams of an NDP Justin Trudeau. His political assets were easy to rattle off: he was the first non-white person to head a federal party; he represented a riding in the Ontario provincial legislature that’s part of the suburban 905 area code, where federal elections are often decided; he spoke passionately, in both official languages, about first principles like fairness and equality; he was photogenic. What NDP partisans overlooked – and what his time as leader has exposed – is the daunting list of qualifications for high office that Mr. Singh has not yet mastered. The problem was crystallized when a recent TV interview turned to rising tensions between Canada and China. Mr. Singh was asked about the Chinese ambassador accusing Canada of “white supremacy” in a newspaper op-ed, and seemed confused by the question, asking, “Sorry, who accused who of white supremacy?” The rest of the interview was hardly better. It included an attempt to change the subject from criticizing China to blaming U.S. President Donald Trump, and fanciful words about Canadians held by Beijing being owed due process. It was the very picture of someone in over his head. Even worse have been Mr. Singh’s errors of omission. With a federal election coming in October, and his own make-or-break by-election in a few weeks, he hasn’t put forward an agenda to speak of. We know the NDP is for tough action on climate change and more generous social programs, but what are the party’s priorities, and what policy levers would it pull to achieve them? Mr. Singh remains inscrutable. The party doesn’t exactly want for positions. Around the last federal budget, it put forward the very NDP-ish proposal of paying for national pharmacare by raising taxes at the top end of the income spectrum. These are the kinds of ideas you’d expect a social democratic party to concentrate on; instead, Mr. Singh tends to speak in bromides about creating a Canada “where everyone feels included.” It’s time for him to move beyond the elementary-school uplift and discuss how he would govern. A willingness to get into the policy weeds used to be an NDP strength. The party believed that government could fix most of society’s problems, so it took the means of fixing seriously. From David Lewis to Ed Broadbent to Tom Mulcair, New Democratic leaders have tended to be wonkish types, happy to go 15 rounds about marginal tax rates or health insurance. That tendency elevated the debate in Ottawa and kept the other parties honest. 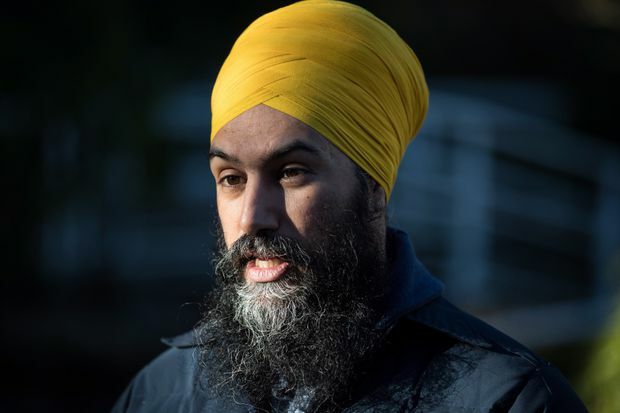 Yes, the NDP now faces a Liberal Party that has tacked left on deficits, the environment, drugs and a host of other issues, leaving Mr. Singh less room to manoeuvre. But at a time when U.S. Democrats are bursting forth with ambitious progressive ideas, his response has been unimaginative. That’s a disservice to his party, which invested such high hopes in Mr. Singh. It’s also a disservice to a country that, whether it knows it or not, is better off with a vigorous NDP. Is Jagmeet Singh capable of tapping into modern left-wing populism?